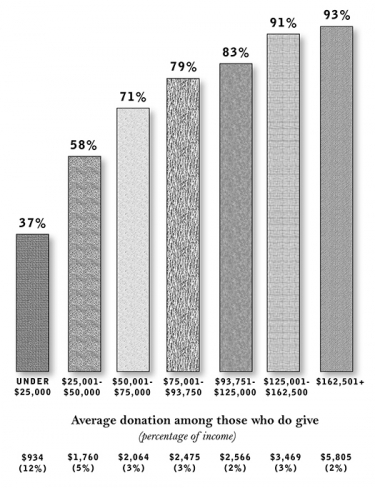 Americans are a charitable group, in fact the most generous in the world, according to the new Almanac of American Philanthropy. In a first of its kind survey, the Almanac found that Americans out-donate Britain and Canada two-to-one and nations like Italy and Germany 20-to-one. Americans also have high hopes for charities, choosing them over government agencies to solve the nation’s social problems, by a margin of 47 percent to 32 percent.